We require £150 deposit on booking which is non refundable if the holiday is cancelled. This deposit will be held until after the holiday after the lodge has been checked for any breakages . Please note that deposit will also be witheld if any unruly behaviour leads to other guests holidays being spoilt. This spacious luxury lodge is situated on Harbour View within the award winning Rockley Park. 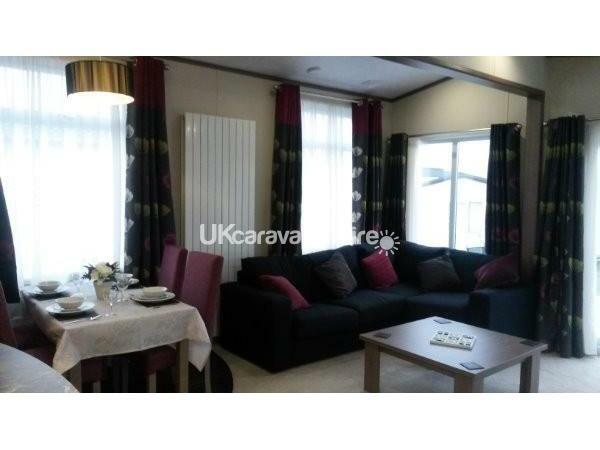 This 2 bedroom lodge has a fully fitted kitchen equipped with everything you could possible need. Dish washer, washing machine/dryer, full size fridge/freezer, cooker, microwave, plenty of cupboard space, hoover and all cooking utensils, pots, pans etc. 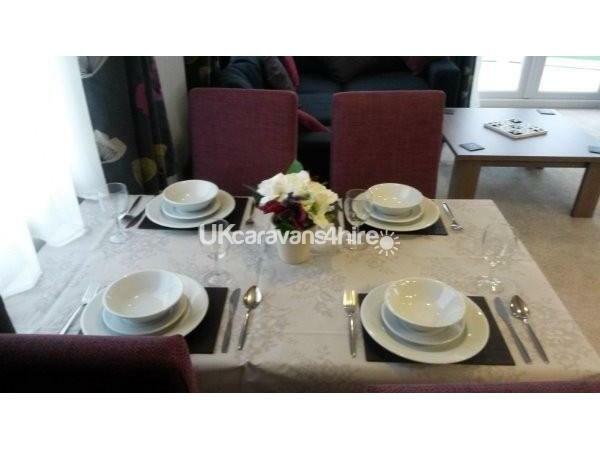 The large open plan living area also has the dining area and a breakfast bar for more casual eating. 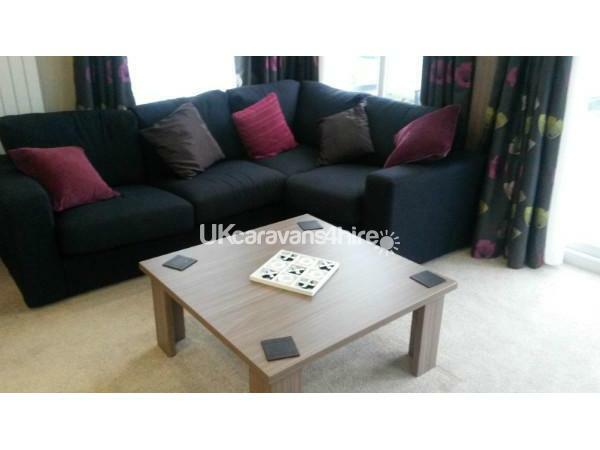 The lounge has a large comfy corner settee which opens up into a double bed and faces the large flat screen wall TV. There is also a DVD player if you would like to bring along your favourite film to watch. From the lounge there are large bi fold doors which open up onto the decking area with table and chairs, perfect for chilling in and taking in the magnificent view of the Harbour. The main bedroom has en suite shower room, TV and wardrobe, whilst the second bedroom is a twin room that also has wardrobe and TV in it. 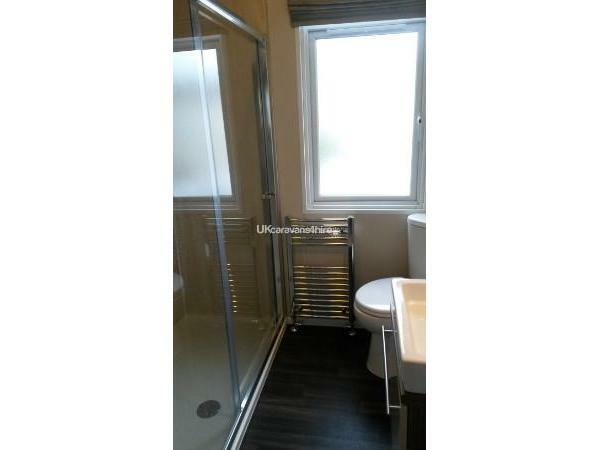 There is also a second bathroom that has both shower and bath for your relaxation. The parking bay easily accommodates 2 cars. We provide sheets, tea towels and washing up niggly bits as aren't they always the annoying things we forget to pack and don't we have enough to wash when we get back with the sheets as well! We really could go on and on but really.... why not just book it and see for yourselves. We have just spent a week in this beautiful lodge and must say it is best we have stopped in . Beautiful deco and pristine condtion we felt relaxed and comfortable and I must say the beds are so comfy not like past experiences . It was always a delight to open the door to such a retreat when we had been out for the day . Shower and bathing facilities where perfect especially having the 2 bathrooms . The lodge is ideally located for Poole harbour, a short car trip can take you onto the chain ferry over to sea shell bay (amazing beach ). We never used the club house , but done some fantastic crabbing at the site beach . I can honestly say I would defiantly re - book this lodge next year . The owner Matt was fantastic from booking to arriving and on return his communication is 100% . If available for your dates book it you will not be disappointed . We’ve just come back from a lovely 5 nights away at this gorgeous Lodge/Caravan. The photos online look amazing... but they in no way compare to seeing it for real. The lodge had everything you could possibly want/need.... and was an amazing size! (Thank goodness we had so much space as the weather was dreadful so stayed in a fair bit) The owner Matt is also a delight to deal with and made the whole process of booking stress/hassle free. My only suggestion would be a curtain over the main door/window... my toddler likes to sleep with his bedroom door open and the light would wake him up in the morning.... But only a minor detail. Hopefully we’ll be back again very soon. We have just spent a lovely week here. 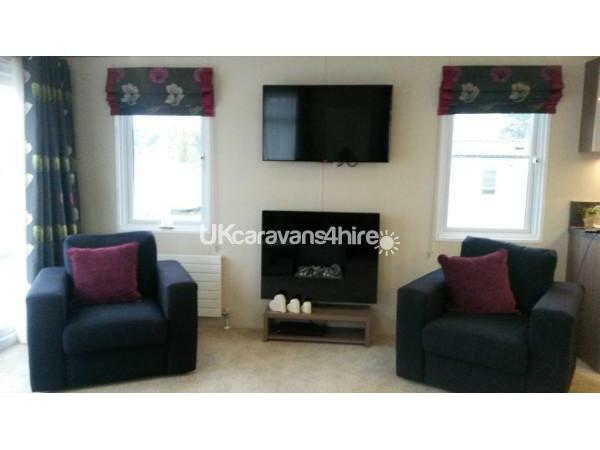 This caravan is in a perfect location within Rockley Park and is beautiful and spacious, nothing like we have stayed in before. It is very well equipped with everything you may need to make your stay comfortable. It was also very clean. 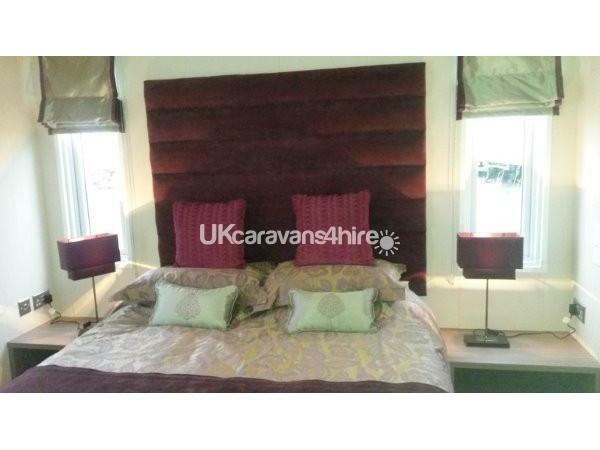 The owners were very pleasant and booking was stress free and easy. It is a great base to explore Dorset. We would definitely return again. The lodge was so spacious, tasteful and well equipped. It was great having the two bathrooms including bath and the kids loved having room for their clothes and toys along with their own TV! The owners couldn't have been more helpful and the location of the lodge in the park is spot on for the beach, nature reserve and just a short walk to the pool and centre. As this part of the park is quiet we had a lovely mix of peace and fun. We couldn't asked for more! Just returned from a week at Rockley Park and stayed in this wonderful lodge. When booking, we thought the pictures of the lodge looked amazing but having stayed there, the pictures don't do it justice! A brilliant place to stay and we would definitely stay again. Matt made everything really simple when booking etc. A massive 'Thank You' from us all. The Wilkes family. Wonderful lodge, truly a home from home. Shame our stay wasn't for longer. We loved the patio area, even managing to sit out in the warm sunshine this time of year! This lodge is situated in a quiet area of the park. We didn't make use of the park facilities, apart from the shop. A very pleasant, relaxing, no-hassle short break. Thank you very much to the pleasant, helpful owners, Matt and Jacquee. We would love to return, hopefully staying longer in future. 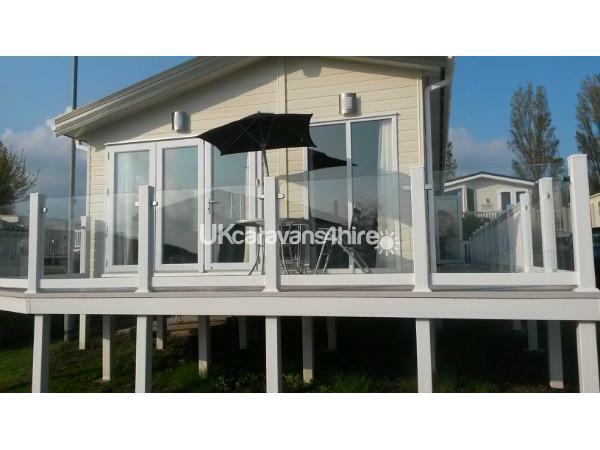 The caravan is excellent with all you need, very clean and comfortable and a good spacious veranda looking over the bay. 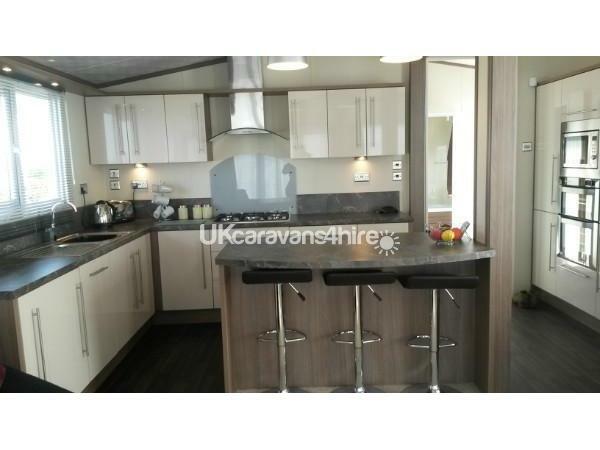 Very nice spacious open plan living/dining/kitchen area with bifold doors leading onto veranda, perfect! The owners Matt and Jacquee are lovely people and I wouldn't hesitate to book with them again should I return to Rockley Park. The perfect base to explore beautiful Dorset. We are Grandparents with 2 young grandsons (aged 2&4)This Lodge was almost perfect for us, the inside is up to 5* hotel standard. The bathrooms and kitchen have everything and more you need for a brilliant holiday. The double bed in the master bedroom is one of the most comfortable beds (other than my own)I have slept in. There is a great amount of storage, you could go for a month and still have space left over. The only issue we had was the veranda. It is huge, has fantastic patio furniture, is south facing with amazing harbour views, but it has no gate on it to prevent young children escaping on to the road. Our 4 year old understood exactly where he could go to but unfortunately our 2 year old was too young to understand, which meant we were unable to leave the lodge doors open unless 1 of us stood guard. Would we go back, like a shot if there was a gate put on or we were only taking older children. 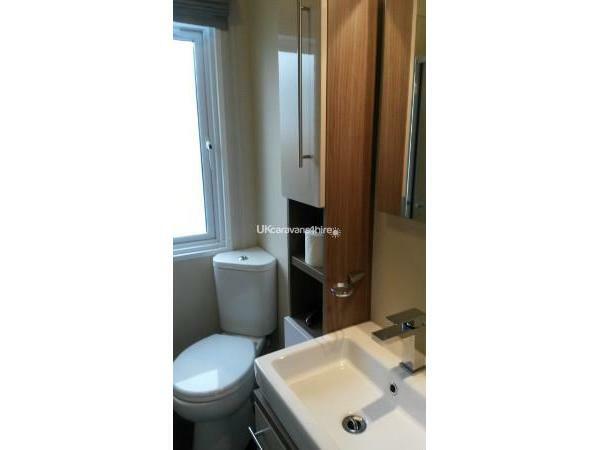 It's position on the park is excellent, in a lovely quiet spot with very little passing traffic, fabulous harbour views. around 7/8 minutes walk to the entertainment complex and 5/6 minutes walk to the lovely beach. Just returned from a lovely week. Dorset is a wonderful county and Rockley Sands makes a great base. Our stay was made even better by this lovely holiday home, the best we have ever used we could not find a fault, every thing we needed was at hand and we were very comfy and relaxed. You will not be disappointed with this lodge. 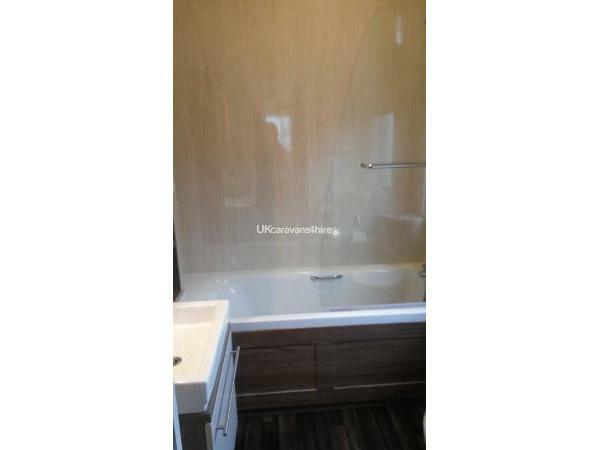 Spacious, modern, clean accommodation complete with 2 shower/bathrooms, central heating and a dishwasher! Well placed on Harbour View, in a well maintained park with great facilities. 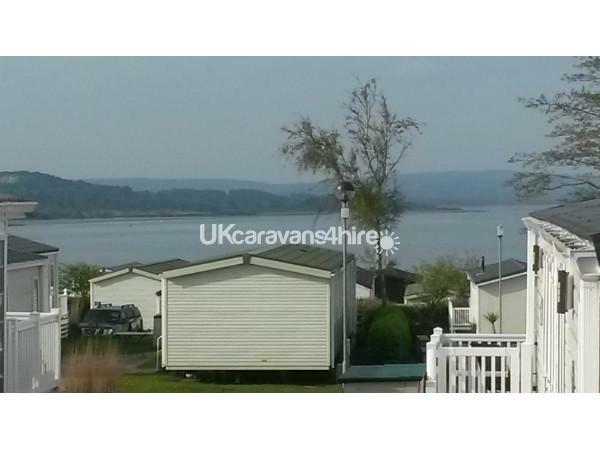 cannot fault the caravan,lovely setting with view over the bay site was clean and well presented with helpful site staff, the owners were available if needed, also a great place to explore the area. We have stayed in many caravans and this is truly one of the nicest, lovely inside and out with beautiful views over Poole Harbour Just wish we could have stayed longer but will return. 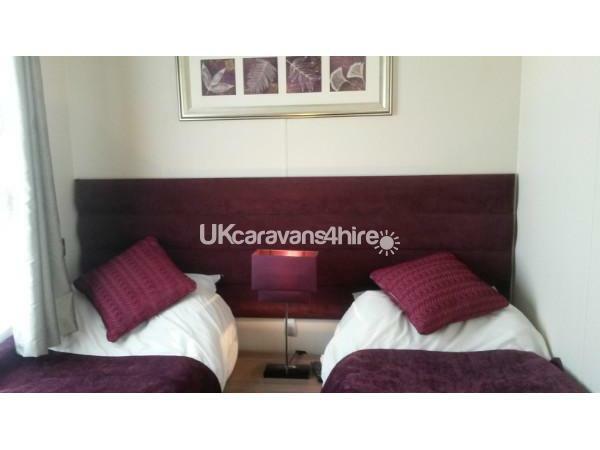 We have stayed in many caravans and this is truly the nicest caravan we have stayed in, lovely inside with everything we possible needed, spacious patio overlooking Poole Harbour only wished we could have stayed longer.